Wine on the West Side 2011 | "Il faut goûter"
When Dad, Mollie, and I first arrived, we strolled first to Hillside Winery’s tent, where everything was semi-sweet. We tasted a few, kept strolling, and found that Tennessee has a lot of very sweet wines to offer, in true Southern style. Don’t get me wrong, I love a good sweet wine for dessert or as an apéritif, but I can’t sip and sip on them without getting a sour stomach. We strolled some more, sipping the sweet and fruity, even came upon a Rhubarb wine from Mountain Valley Winery that had a very appealing and complex sweet-tart flavor, and an intriguing wine from Amber Falls Winery called Cajunfest, sweet on the front, but super spicy as it glides down the throat! I enjoyed the variety, and most of the merchants were friendly and knowledgeable. But finally, after a couple of hours, I discovered the jewel of the wine festival that I’d completely missed when we arrived. It was the tent of Chateau Ross, a winery located in Springfield, TN, where the vintners were telling visitors to “Go ahead and bypass us if you’re looking for sweet wine. You won’t find it here.” And there is where I stayed for the rest of the festival. Their wines were deep and dark, bold and mysterious, just as my palate prefers. I loved every wine of theirs that I tried, the Petite Syrah being my absolute favorite—they billed it as “chewy…scrape it off your teeth. Not for meek,” and I was sold. They were great and I told them so, and I hope to visit their vineyards sometime this summer or fall. All in all, we had a great time at the festival, got positively tipsy in the sun, and came home with two bottles of wine to enjoy on the patio sometime soon. My only complaint about the festival was the lack of food samples, which were advertised on the event website. The $25 ticket was supposed to include “samplings from participating Tennessee food producers”—the only thing I sampled for free was a bit of cheese from Thomas Andrew’s Restaurant. Perhaps none of those food producers chose to participate. Or maybe I was a bit too fancy-free to notice? Here are the wines we came home with: a Raspberry Blush from Hillside Winery (for Dad and Mom) and a Sangiovese from Chateau Ross (for me!). 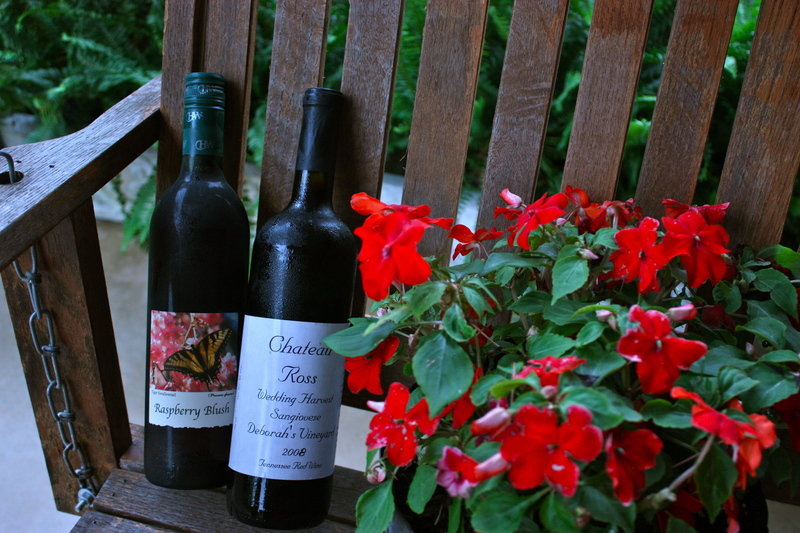 Find out more about these Tennessee Wineries! This entry was posted in Uncategorized and tagged Tennessee wineries, wine festival, Wine on the West Side Cookeville by needtotaste. Bookmark the permalink. I enjoyed that Cajunfest, though it would be hard to pair properly, and I’m bummed that I missed the Rhubarb. Guess I’ll have to catch it next year!